The first thing you notice about The Fits is the silence. Besides the sound of her hushed counting, which plays over the opening credits, our protagonist Toni (Royalty Hightower) doesn’t speak out loud until 11 minutes into the movie. In that time, we’re shown the world exclusively through her eyes. Between the boxing gym where she trains with her brother, a place heaving with the sweat, blood, and testosterone of teenage boys, and the all-girl dance troupe she yearns to be a part of, Toni largely exists on the outside looking in. She is the archetypal introvert, quietly observing her surroundings with loaded and eloquent looks. In turn, the film reflects Toni’s personality, offering a profound coming-of-age story that needs no theatrics to be heard. 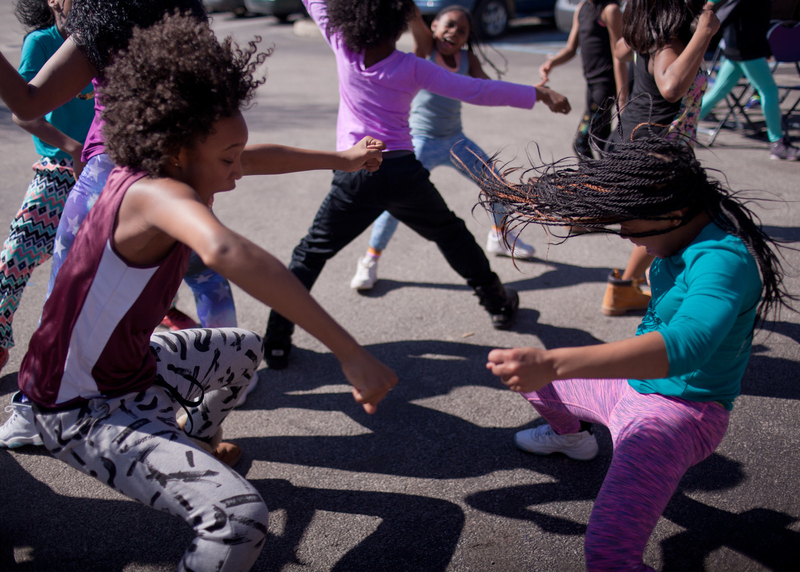 The Fits follows 11-year-old Toni’s journey to becoming a part of a tight-knit dance team in Cincinnati’s West End. Drawn to the girls' confidence and the bond they share, Toni vigorously trains and masters dance routines to fit in. However, when a spell of hysterical fits begins affecting each member of the team, Toni’s desire for inclusion suddenly becomes more complicated. It’s a story that’s about not just self-discovery through dance, but more widely the idea of “fitting in” and the significance of assimilation, particularly at Toni’s age. “We really wanted to tell a story about girlhood that wasn’t about a sexual awakening,” Holmer explained. “I think oftentimes coming-of-age stories or films about young women conflate self-discovery with sexual awakening, and we wanted to separate those two and make it its own beat.” In doing so, Holmer gives viewers a narrative that’s stunningly simple and overwhelmingly relatable. In the desperation to be included, even something as extreme as a fit can appear desirable. Holmer posits that there’s some beauty in the fits, describing them as “a kind of ethereal, transcendent, inexplicable feeling that is very formative”. “They evolve,” she said. “They grow as Toni’s understanding of them shifts and her understanding of herself shifts.” Indeed, as Toni’s consciousness begins to change, the film becomes less about the anxiety surrounding the fits themselves and more about the anticipation of Toni’s own fit, as well as the underlying fear that she may never even have one. In conversations about the mass hysteria, she becomes isolated, and is even asked, “What do you know about it?” when she tries to join in. In one scene, while overhearing the older girls compare their experiences, Toni is literally cut off from the group by a banister that splits the screen down the middle. Though she admits she’s scared, and doesn’t want it to happen to her, her inexperience threatens to alienate her completely. In the pre-teen world, conformity trumps individuality. Some of the cast, featuring several members of the Q-Kidz dance team. Part of this mentality meant Holmer and her team being forthright in their intentions and imbuing each scene with purpose, a process that Holmer describes as a collaborative effort. “Many of those things just came from my team, including a lot of our own memories and our own experiences on page, and then taking this amazing cast of kids and teenagers and including their voices too and saying, ‘We want you to be authors alongside of us.’” She specifically commends Royalty Hightower’s role in this too, describing the young actor as a “generous collaborator and performer” who listened “not just to me, but to herself”. "I'm still learning about how my voice as a filmmaker has impacted the narrative of black girlhood in the film." The Fits isn’t explicitly about race, nor is it ever mentioned, but it boasts an all-black cast, featuring several members of Cincinnati dance team the Q-Kidz. In the original story for the film, however, there was nothing about an all-black cast or working with a drill team at all. That came instead through the choice to collaborate with the Q-Kidz, which Holmer revealed was a “big decision”. “We really needed to also examine our own intentions in that. Why was this the right dance form? Why was this the right case? Were we the right storytellers to tackle this? Could we do that justice?” As a non-black director, Holmer admitted, she’s “still learning about how [her] voice as a filmmaker has impacted the narrative of black girlhood in the film”, and added: “I think that it’s about listening mainly, and saying I’m not an authority on that experience, but the film is specifically about black girls in Cincinnati and that should be embraced.” The opportunity to listen to and have honest conversations with everyone — her cast, choreographers and writing team and her audience — is something Holmer values particularly highly. Her hope is to maintain an open dialogue. Toni in the final sequence. As the sound of Kiah Victoria’s “Aurora” swells in the background (a song that asks “Must we choose to be slaves to gravity?”), the camera zooms in on Toni’s feet as they walk along a corridor and follows them as they slowly lift in the air. The moment where she drifts along the hall in front of her peers evokes the magical realism of Gabriel Garcia Márquez’s One Hundred Years of Solitude, where Remedios the Beauty floats off the ground and into the sky, disappearing forever. It's a spellbinding scene, made better still by the fact it centres a black girl, literally epitomising “black girl magic”. In the very last shot of the film, the camera rests on Toni’s face, her eyes staring back at the audience. As the seconds tick by, the sides of her mouth slowly upturn until she is smiling, and then the screen fades to black. It’s a typically simple but ambiguous ending, apparently marking Toni's moment of self-discovery. “The audience doesn’t know how much she’s grown until that moment,” Holmer said. “This is so far from where we came, and it’s small, little steps she’s taking, but it’s really about her understanding, her comprehension. Her point of view has changed more than anything else.” To those accustomed to explosive endings, the culmination of these little steps in the final scene may feel anticlimactic. But if indeed you are willing to find the profound within the mundane, this moment, like the rest of the film, speaks volumes. It’s the kind of ending you’d hope for a girl like Toni, one that represents the beauty of growth and coming into one’s own. It’s an end that feels more like a beginning. 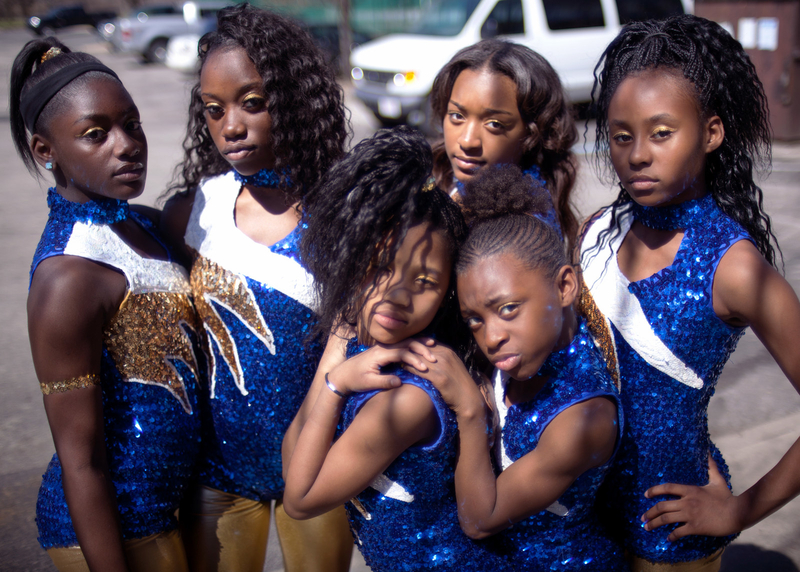 The Fits is available now on Digital Download and on DVD March 20.